Terry G. Sorrells & Terri Lynn Sorrells possess a passion for service which has lead them on an unbelievable journey through the years. They have be richly blessed with many opportunities and have the good fortune of seeing many of their hopes and dreams fulfilled. Together they have built many successful funeral businesses and have raised the bar for professionalism in the funeral industry. One longtime dream was to build a funeral home in the eastern part of Geneva County where they were raised and completed their high school education. In January 2000, that dream came true with the opening of Sorrells Funeral Home, LLC in Slocomb, Alabama. Little did they know at that time what God had in store for them. They went on to open two more locations; Sorrells Funeral Home, LLC - Geneva in August 2002 followed by the newly constructed Sorrells Funeral Home, Inc. of Enterprise in January 2009. For many years, these three locations operated with great success under the same Sorrells Funeral Home umbrella. However, after 50 years in the funeral industry, consultation with family and friends, and much prayer, Terry and Terri Lynn decided it was time they took more family time. They had sacrificed so much for so many and were so blessed. Though so many of their dreams had come true they came to realize it was time to simplify their lives. In November 2015, the employees at the Geneva location approached Terry and Terri Lynn with an offer to purchase the business. This was a such a blessing for everyone involved and then in May 2018 another purchaser acquired the Enterprise location. With the sale of these business, Terry and Terri Lynn were able to return to their roots, enjoy some much needed family time yet remain true to their calling and continue to serve their family and friends in eastern Geneva County at Sorrells Funeral Home in Slocomb! Terry G. Sorrells has over fifty years of experience in the funeral industry and is a licensed funeral director and embalmer in Alabama and Florida; as well as a licensed insurance agent. He served as president of the Alabama Funeral Directors Association during the year 1993-1994; and in the various communities in which Terry has lived, he was a member of the Lions Club, Kiwanis Club, Civitan Club, Chamber of Commerce, Rotary Club, and has served on many other committees. He is both a Master Mason and Shriner. Terri Lynn Sorrells is a graduate of Troy University, Dothan with a degree in business administration. 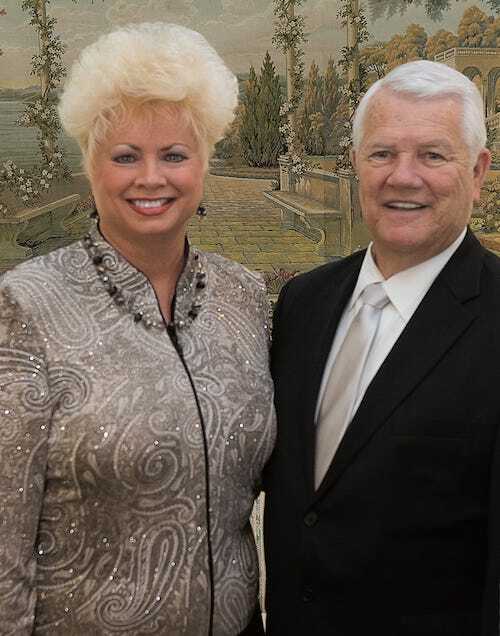 Terry and Terri Lynn make their home in Enterprise and are members of Hillcrest Baptist Church where Terry has served as a deacon and Terri Lynn has served as a Sunday school teacher. They have one son, Casey (who lives in Heaven); a son, Kerry "Bubba" and his wife Penny; a daughter, Wendy and her husband Mark; and five grandchildren: Logan, Cameron, Brooks, Cooper, and Rosemary whom they love deeply!